Linda B. Weis is known for taking the needs of her clients seriously and doing what it takes to help them achieve their goals. Linda’s “can-do,” “do-it-right,” “do-it-now” attitude has resulted in outstanding sales success not only in the Manhattan community but also throughout the Realty Executives franchise system, where internationally she ranks in the top 100 out of thousands of Realty Executives worldwide and ranks #8 in the Realty Executives Mid-America Region of Kansas, Missouri, Colorado, and Nebraska. Voted #1 Manhattan Realtor* in 2017 by the Manhattan Mercury Reader’s Choice Awards, Linda’s leadership ability, people skills, and business acumen have guided the dynamic development of the Weis Realty Executives Company since its founding in 1992. 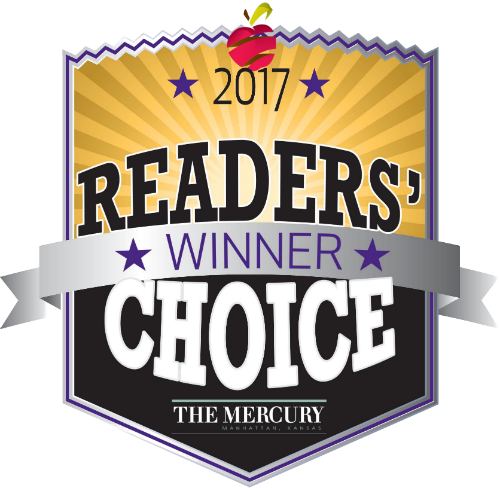 Weis Realty Executives was voted Manhattan’s #1 Real Estate Company in 2013 by the Manhattan Mercury’s Reader’s Choice Award. Linda B. Weis is living proof that “busy people get things done”. A strong believer in “giving back to the community,” Linda serves in active leadership roles at the local, regional, and state levels. Along with a stunning record of brokering a company and helping thousands of Buyers and Sellers during the past twenty-eight years, Linda’s community leadership has helped make dramatic strides forward in economic development for the Manhattan-K-State community. As Board Chairman of the Manhattan Area Chamber of Commerce and active leader in support of national bio-security and bioscience economic development opportunities in Kansas, Linda served as the lead community proponent for attracting the $1.25 Billion National Bio and Agro- Defense Facility to the Manhattan-Kansas State University communities. NBAF is scheduled to be operational in 2020/2022. A strong proponent of the military, Linda has lent her expertise as a commissioner on the Kansas Governors Military Council, to which she was appointed and reappointed by three different Kansas Governors. She continues to serve as an executive member of the Little Apple Military Brigade and on the Manhattan Area Chamber’s Military Relations Steering Committee. An active supporter of Fort Riley, she travels on occasion to Washington, DC to meet with the Kansas Congressional Delegation as an advocate for the needs of Fort Riley families and the communities of the Flint Hills Region. In 2014 Linda B. Weis received the distinguished honor of being appointed to the Kansas Supreme Court Nominating Commission and that same year was honored by the Manhattan Area Chamber of Commerce with the Lud Fiser Citizen of the Year Award. An Eagle Scout mother, Linda was recently appointed to the Board of Directors of the Coronado Council of Boy Scouts of America, which territory extends to the Colorado border. Active in Realtor activities since 1989, she has served as President of the Manhattan Association of Realtors® and as Professional Standards Chairman of that organization. Linda B. Weis loves people, and it shows. She came to the real estate industry with an entrepreneurial background in agriculture, business, and music education. Her ability to listen to the hearts of her clients is one of the professional qualities that distinguishes Linda–because she has “been there.” She understands the challenges of adjusting as a “trailing spouse” from her family’s moves to the University of Illinois, University of Kansas, University of Minnesota-Duluth, Yale University and then to Kansas State University. She understands educational systems and the needs of children, having taught in both public and private schools at all educational levels—elementary through college. She understands the needs of over-worked parents as she combined not only family responsibilities and full-time teaching, but also completing degrees and graduate work at the University of Denver with in-residence study at Aspen and Santa Fe, as well as Ph.D. coursework at the Eastman School of Music, University of Rochester, New York. 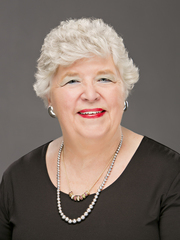 In addition to facilitating client care for Buyers and Sellers, brokering a company, and serving as an active civic community leader, Linda B. Weis is a Charter Member of Konza Rotary, Paul Harris Fellow, and enjoys membership in PEO, Daughters of the American Colonists, and Daughters of the American Revolution, where she is Honor Regent. Her husband, three grown children and six grandchildren are her pride and joy, thus she chooses wisely her activities, having served as Founding President of the Kansas Arts Foundation, and recently serving as Founder of “ASPIRE”, an educational support program for young women with a vision for betterment. She continues to participate actively in Kansas City Animal Health Corridor activities and is supportive of the Kansas City Area Development Council in attracting bioscience economic development opportunities to Kansas. When she arrives at bioscience events around the State, the call goes out, “Here Comes Manhattan Real Estate!” Indeed, Linda B. Weis truly is Manhattan real estate! For Buyer and Seller clients who want a job done well, thoroughly and right—with exceptional integrity, reliability, legal detail, customer care and professionalism—Linda and her professional staff are incomparable. They have devoted a lifetime to serving others. Your real estate needs are their priority. Linda B. Weis and her extraordinary team are here to serve you. Contact her now for extraordinary personalized service and exemplary real estate professionalism!